Our client wanted a “pub” of his own, and we delivered one. As the lowest level of a multi-level townhouse, this room was lost and forgotten. Fortunately, it had a full walkout for natural light, tall ceilings and other attractive features. 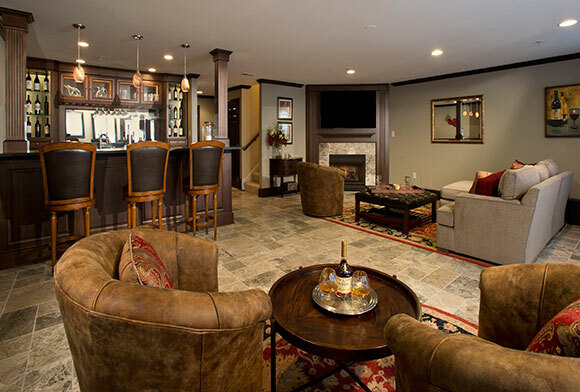 We built an elegant bar, improved the fireplace and installed a stone floor to transform this ignored space into a beautiful and comfortable corner pub right in the client’s home.